We are using the French pronunciation, as it is, after all, a French-derived word. Accessories, equipment, trappings. A proper Victorian lady or gentleman has all sorts. Let’s start with the watch. 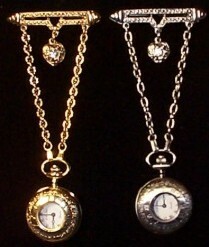 Ladies wore pendant watches, either on a necklace, or pinned to their blouses. 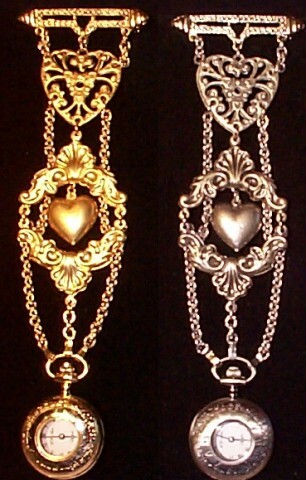 Matrons wore watches on extra fancy chains, called chatelaines. 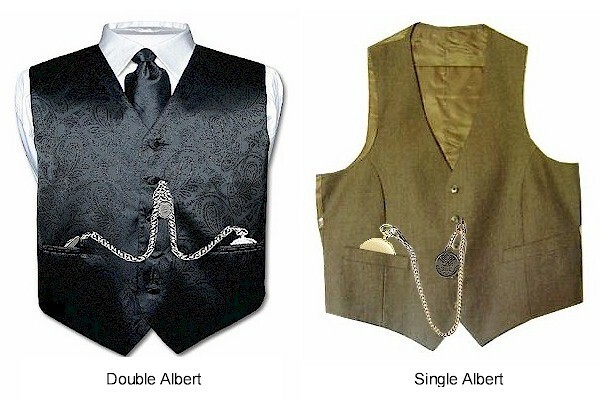 Men kept a pocket watch in their vest pocket, more often than not attached to a chain, popularly known as an “Albert” chain, after Prince Albert*. One end of the Albert chain was affixed to the watch, and the other end was inserted into a buttonhole. To retrieve one’s watch, one simply tugged on the chain. Your better gent’s watches were of the “railroad” variety. That means the watch was made to keep time to a certain standard. Since trains had to run on schedule (a concept now seemingly foreign to Austinites), watches had to keep good time, lest they run into each other. Next up, the stick-pin. Gents wore a fancy stick-pin, made of gold or silver, with diamonds, pearls, or other gems, through their cravat, ascot, or neck-tie. Next up is the pocket square. 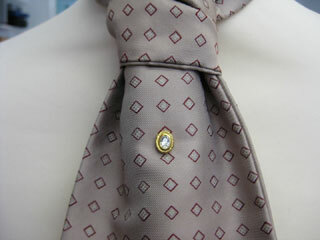 A silk handkerchief, necessarily coordinating with one’s tie. Pocket square - don't even think of going to court without one. Ladies and gents, stock up on these items now, in preparation for the ride. 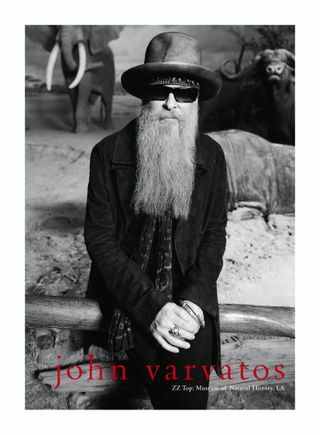 And remember, gents, every girl’s crazy ’bout a sharp-dressed man. *Those who may have stumbled upon this page looking for another type of Prince Albert might want to look here. 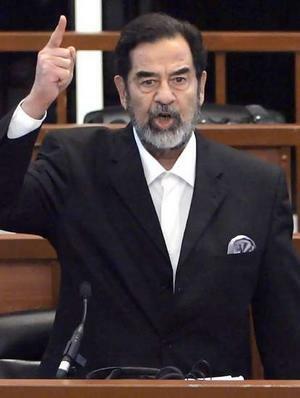 This photo (Saddam Hussein at his trial) should actually be credited to AP (Associated Press).